When designing an audio system for the home of a musician, it comes as no surprise that exceptional sound quality is non-negotiable. But what about when style is just as important? When Phish bassist Mike Gordon approached System Integrators in Vermont about finding the perfect speakers for his new home, he insisted on a system that would not only offer premium performance, but one that would blend seamlessly into the room. The team was challenged to come up with a custom solution that delivered the sound quality that Gordon was looking for in the “musical showcase” of his new home, while also blending seamlessly into his existing built-in Cypress bookshelf. Knowing that an off-the-shelf product wasn’t going to fit the bill, System Integrators brought Leon in to collaborate and design a system that was completely customized to meet the needs of Gordon’s space. To fulfill the performance requirements, Leon recommended using their flagship Timbre SEVEN bookshelf speakers along with a pair of Aaros ultra-thin subwoofers. The Timbre SEVENs are handcrafted with 7” aluminum cone woofers and 25mm cloth-dome tweeters to produce smooth, effortless high-frequencies, while the subwoofers feature highly specialized drivers that reproduce low-end with impeccable clarity and precision. The speakers were designed with custom dimensions to perfectly fit into the bookshelf cubbies while maintaining a 1” reveal all the way around with integrated indirect RGBW lighting to create a “floating” look. Both the speakers and subwoofers were custom finished in Cypress to match the bookshelf with custom grills handcrafted from cool grey grill cloth to contrast the warmth of the surrounding wood. Despite its compact size, the system produces the “larger-than-life” sound that Gordon was looking for while also visually integrating into the space, merging sound and style to create a one-of-a-kind solution. 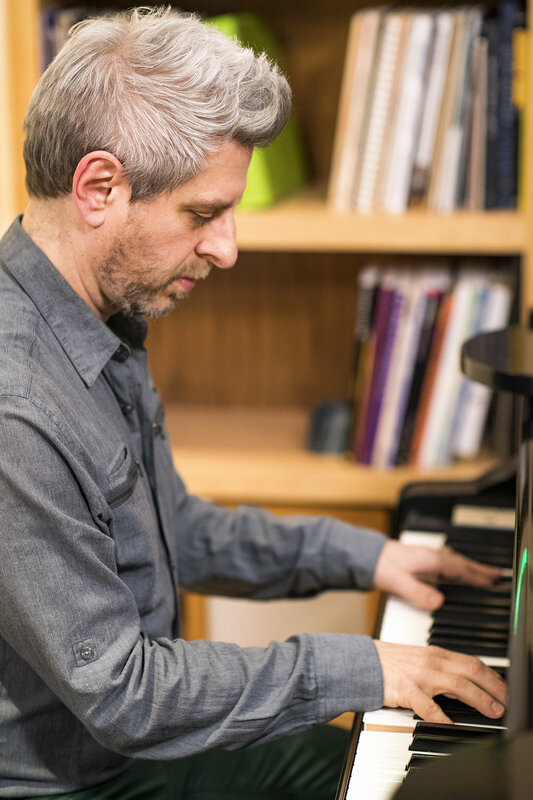 Read our Q&A with Mike Gordon here.